Some artistic personalities seem always to lurk in the shadows. 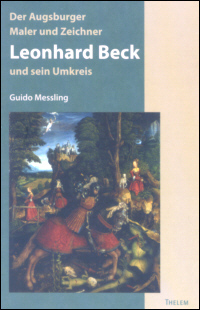 For scholars of those artists who worked for Emperor Maximilian I, such an artist is Leonhard Beck of Augsburg. First rescued from historical oblivion by the indefatigable Simon Laschitzer (1887), Beck emerged as the designer of woodcut cycles - of both the complete Habsburg Family Saints and some lesser narratives of Weisskunig (127) and Teuerdank (77). A generation later Ernst Buchner's foundational 1928 article established a corpus of paintings and drawings, complementing Robert Vischer (1886). Erich Steingräber also identified Beck as an Augsburg book illuminator, Illuminist in the documents, revisited by Messling himself (Münchner Jahrbuch, 2004). Thus Beck's obscurity was replaced, revealing a versatile artist in several media, including wall paintings (all lost) and probably also glass painting. Now Messling has produced the first full Beck monograph with catalogue of paintings, drawings, and docu-ments. With Hans Holbein the Elder (Katharina Krause; 2002) Beck now joins Hans Burgkmair and Jörg Breu the Elder (Pia Cuneo, 1998; Andrew Morrall, 2001), as a major Augsburg artist of the early sixteenth century. Born around 1480 as son of a manuscript painter, Georg Beck from Ulm, he enrolled in the local guild in 1503. He probably had early, if anonymous association with the Holbein workshop, then began serious work for his several hundred Maximilian woodcuts in the period 1511-1518, also the chief moment for his surviving panel paintings and drawings. His documented wall paintings are all lost, but they include Würzburg cathedral in 1509-10 and the Augsburg City Hall Last Judgment of 1524 as well as other major city buildings, especially after the death (1532) of Ulrich Apt. After his daughter married portraitist Christoph Amberger in 1530, Beck's death is documented in 1542. Messling downplays the woodcut designs of Beck, because they pale in comparison to the genius of Burgkmair and the overall higher quality of Maximilian's other artists; however, some weaknesses are due to his inferior cutters. His Habsburg Saints are viewed as a livelier if less unified series than the drier Teuerdank illustrations. Messling found one drawing, Beck's design for St. Ulrich (Hermitage), oriented like the print but without the scenery of the final woodcut, based on a lost preliminary design. Messling does not add to Campbell Dodson's woodcut catalogue of 1911, but he does analyze the series, noting that cutters had considerable latitude to interpret shadows in their own graphic syntax. Beck also utilized different models for gestures or poses and turned especially to Dürer for spatial settings, to Burgkmair for figure types. Other woodcut in books are convincingly added to the corpus, notably one image of the local Augsburg saints (1516; fig. 16). 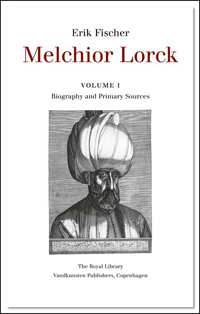 However, Messling's bold hypothesis, not detailed here (Print Quarterly 2004), that Beck is author of some prints identified with the Petrarca Master, including one fine title page with saints (1520; fig. 17) rings false in relation to other Beck woodcuts. At the heart of the book are the religious paintings, though Messling de-attributes quite a cluster away from Beck to someone he dubs Meister der Oberschönenfelder Altarflügel. This distinction is not as obvious to my eye. But the authentic Becks are here studied for the first time systematically, a major contribution of this monograph. The Vienna St. George, dated close to the Teuerdank woodcuts c. 1513-14, while undocumented is closely associated here with Maximilian in theme and heroic staging, again close to Dürer as well as Cranach, but also dependent upon the commissioned woodcut of the saint by Hans Burgkmair (1508). Largest and most significant of Beck's paintings, the Adoration of the Magi (Augsburg, Museum) was an epitaph produced before 1523 for the Michael von Stetten family chapel in the Dominican church. Although its original frame is lost, it bears the family heraldry and features obvious portraits historiés, presumably of the donor family, for several figures, making this image a touchstone as well for Beck's portraits, including an alleged self-portrait, a man glancing out of the image, which resembles a colored chalk drawing (London, University College, cat. no. 11). The theme is uncommon for a German epitaph, but Botticelli's Adoration for the Medici, not mentioned, offers a clear parallel. Technical study reveals considerable alterations, well charted by Messling, who is looking especially for drawing connections to the Holbein workshop, where Beck supposedly trained and saw similar Adoration themes. Comparisons of types and staging to the Habsburg Saints woodcuts (1516-18) secure the attribution and suggest a firmer date, c. 1519. Altogether, this is a more mature and independent creation. Beck's third major work is another votive picture, an unprovenanced diptych (probably from Augsburg Cathedral) with standing saints and kneeling donors, for the Weiss-Fackler family (Augsburg, St. Afra, Diocesan Museum). Built around the familiar late medieval juxtaposition of the Man of Sorrows and Madonna (with Child rather than as the usual Mater Dolorosa), this work more deliberately depends upon iconic models, possibly via Holbein the Elder. Again the layout compares closely to the Habsburg Saints woodcuts and leads Messling to a date of c.1520. Credit for the attribution to Beck goes to the sharp-sighted Dörnhöffer (1897), who shows with Laschitzer and Dodgson how much of the best work on early German art occurred more than a century ago. Monographs almost always want to discriminate and separate out hands of anonymous Doppelgänger, and this is no exception: the Master of the Oberschönenfelder Altarflügel, identified as Beck by Buchner (1928). The connections are close and remind us of the importance in contemporary monographs for considering workshop products as a kind of "Group Beck" and remembering that this artist in particular was often derivative and halting as a panel painter. Augsburg workshops were busy, large, and multi-media, so my own inclination (abetted by Messling's inclusion of these paintings in this book) is to have a more inclusive œuvre. All of these images are conventional religious works and do not alter the contribution of Beck or Augsburg substantially. 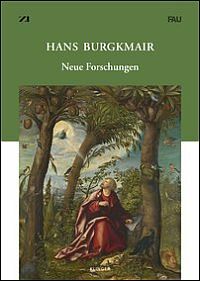 Finest of them is a Birth of the Virgin (The Hague, Mauritshuis; called Sigmund Holbein by Buchner, backed tentatively by Messling), which obviously derives from Dürer's Life of the Virgin woodcuts but shows traces of Burgkmair in the figures. In similar fashion a pair of exterior wings of Augsburg patron saints Ulrich and Afra (Philadelphia; cat. A9; dated c. 1520) are convincingly reascribed to Breu, influenced by Burgkmair's 1518 St. John Altarpiece, along with a few related works, e.g. a pair of Karlsruhe wings. Unfortunately both Burgkmair and Breu lack a systematic catalogue of paintings - a serious lacuna. Final sections consider Beck's portraits as well as rejected works, chiefly linked to a "Master of the Augsburg Portraits." Here except for Holbein the Elder Augsburg portraiture has not been much studied in detail, and of course Beck overlaps with the early Amberger, a portrait specialist and his son-in-law (from 1530). The one solid base is a portrait of goldsmith Marx Schwab (1515; missing; cat. no. 4). From this core a few other attributions and several fresh, colored chalk portraits - including the London Self-Portrait in chalks - are attributed, others rejected. Bust lengths and three-quarter poses are the rule, but variety of pose and attention to costume (fur, hats) prevail over character, and monochrome backgrounds prevail over architectural setting. Generally these works occupy the decade of the teens. Yet shifts of patronage from woodcuts and paintings to wall paintings and portraits deserve discussion in a wider context of Augsburg artistic history. In this respect, lost works must be reckoned as a major portion of Beck's output, sacrificed to iconoclasm, building replacements, or damage, especially to mural images. But unlike the proud Burgkmair monogram, marks of Beck are rare, and his oeuvre has had to be reconstructed. In general, Messling is to be commended for filling in a large hole in our knowledge of Augsburg art in both woodcuts and paintings; however, he should have included the material on miniatures, which he published elsewhere. His attention to technical examination of underdrawings and changes greatly enriches his discussions of these pictures, and his concern for related works and influences ties Beck back to his period. This is solid research by a scholar who is serious about objects. We can only hope that both Burgkmair and Breu paintings will receive treatment at this high standard.